Welcome to the Annual Report and Accounts for NHS Hull Clinical Commissioning Group (CCG) for 2014-15. 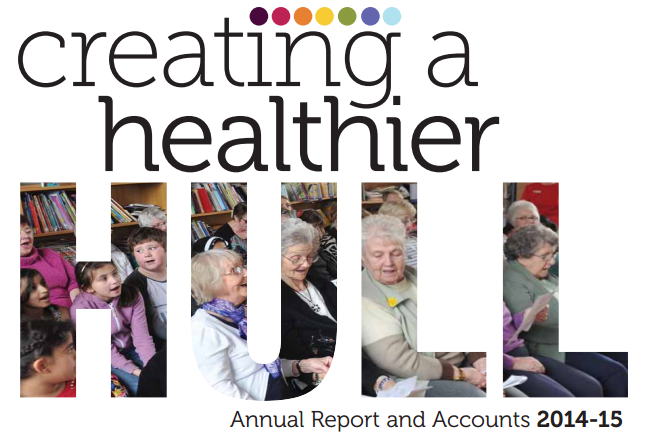 The user-friendly, illustrated report focuses on our performance and work programmes during 2014-15, and how we involve local people and partners in our aspirations to create a healthier Hull. It features a look back on highlights in healthcare for 2014-15 and looks to the future of local healthcare with transformational programmes like Hull 2020 and Better Care in Hull. The accounts have been subject to a rigorous audit process and our external auditors provided an unqualified audit opinion and did not issue any recommendations. We positively welcome feedback on your experience of local health services as well as your views about how best to shape local health care to meet local needs. On behalf of the entire CCG Board we would like to extend our sincere thanks to our members, staff and partners across the city, which have helped us deliver another productive, challenging and very rewarding year in health care.